The past month has been an eventful one for the North Brandon YMCA. Toward the end of October, it had a ribbon cutting ceremony for its new children’s workout equipment. 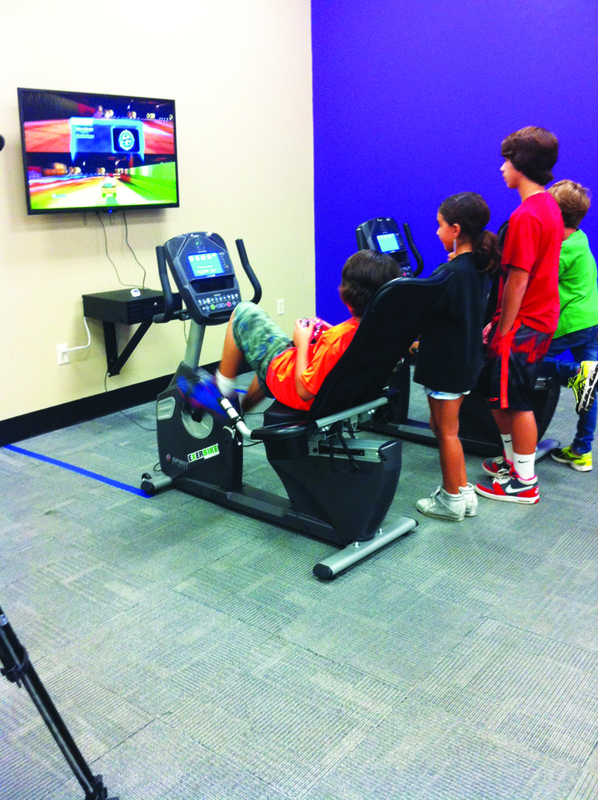 Located in the newly renovated Youth Activity Center, and thanks to a $12,500 grant from Winn-Dixie, there are now two interactive gaming bikes, a row machine, a Dance Dance Revolution workout game, a Styrofoam obstacle course, and it replaced all the computer chairs with exercise balls. The center now offers kids a safe environment to exercise, learn about healthy habits and increase their peer interaction. The ribbon cutting was lead by the Greater Seffner Area Chamber of Commerce, and afterward they dispersed to the gymnasium for their Seffner Chamber Business Expo. The Business Expo shared the space with the YMCA’s Fall Festival, and showcased different businesses and their booths for free to families. The North Brandon Family YMCA is located at 3097 S. Kingsway Rd. in Seffner. For more information, call 685-5402. For more information on the Greater Seffner Area Chamber of Commerce, visit www.seffnerchamber.com.